Home » Breaking News » SSA,GCERT & RSM NE BHEGA KARI AEK J UNIT BANAVAVAMA AAVSHE, JANO KEM AAVO NIRNAY KARVAO PADYO..? 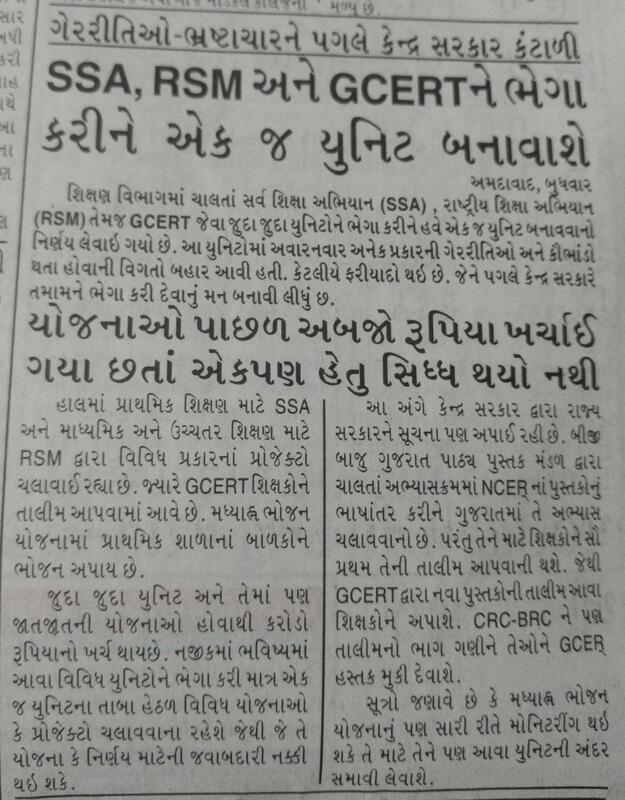 SSA,GCERT & RSM NE BHEGA KARI AEK J UNIT BANAVAVAMA AAVSHE, JANO KEM AAVO NIRNAY KARVAO PADYO..? 0 Response to "SSA,GCERT & RSM NE BHEGA KARI AEK J UNIT BANAVAVAMA AAVSHE, JANO KEM AAVO NIRNAY KARVAO PADYO..?"